Booking movie tickets online is the easiest way to book tickets, but not all multiplexes have a smooth gateway for online transcations. Inox Movies, which earlier wanted a login to book tickets, has done away with login. You can book tickets without logging in. I tried to book tickets for Rocket Singh on Friday evening, but the payment gateway had some problems. After selecting seats and taking my credit card information, the gateway would get into ‘processsing’ for few seconds before returning with ‘Booking Cancelled’ page. After 3 futile attempts, I gave up. Rs.945/- (Rs.300/- per ticket plus Rs.15/- for booking charges) was charged on each attempt, but my tickets were not booked.Total of Rs. 2835/- has been charged and i did not get tickets! Usually charges on such futile transactions are reimbursed or credited back to the credit card. I was sure it would happen this time too, but to my shock it hasn’t. I received my credit card statement with charges for 3 Inox transcations. I am furious with the payment gateway of Inox movies. There is no contact information for online transcations. I have mailed contact@inox.co.in and waiting for a reply. 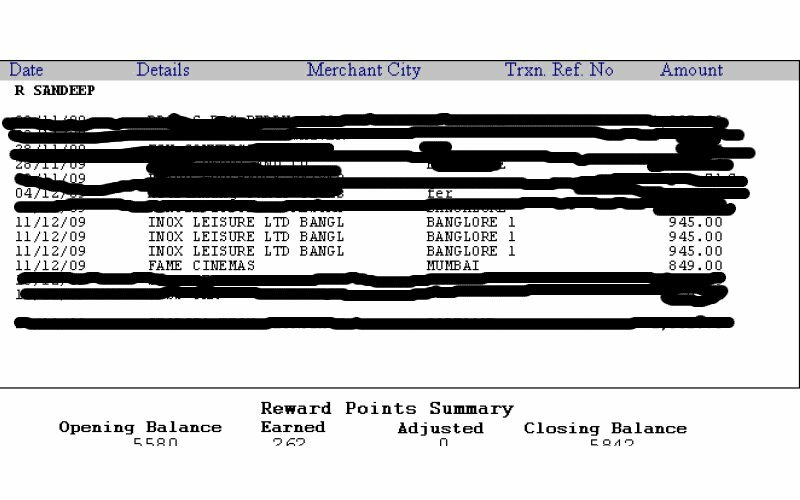 You can see the booking transaction at Fame cinemas, where i booked the tickets after futile attempts with Inox. Fame cinemas too has a horrid payment gateway, but Inox has the worst of these multiplexes. There has been no credit of the Inox transction in unbilled transctions either. The worst thing is there is no login information, and no reference number for these transactions. All the movie buffs, take this as a warning to booking tickets online at Inox Movies. Please tweet/circulate this message amongst your friends. P.S. : If anyone has faced similar situation, please let me know of any Inox contact information for online booking screw-ups. Will update if i find anything. After a month and half, I got the refund from Inox.